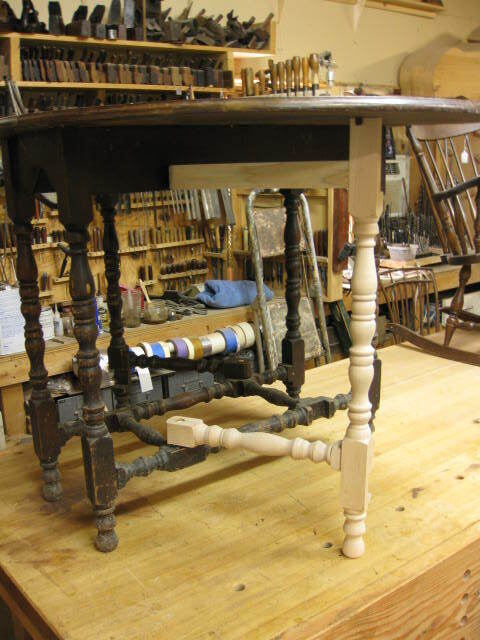 When repairing furniture whether old or new one of the most common fixes necessary is to either repair or replace one or more spindles. In many cases it’s easier to just replace the parts with new. But in some cases you may want to fix the old ones. 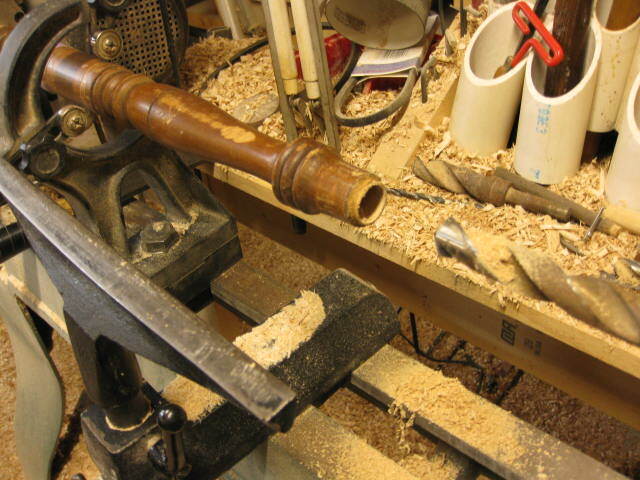 If you are working on a particularly valuable antique for example. In that case this is the set up I use to accomplish the task. This is a chair that actually fell off a moving truck. It was part of a set of 6 and the customer did not want to refinish the set, so I decided to repair the broken parts rather than replace them. 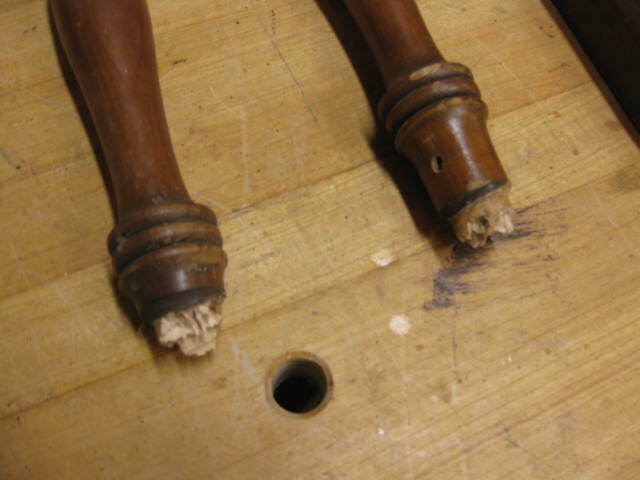 You can see that the tenons are broken off the legs and the back hoop. 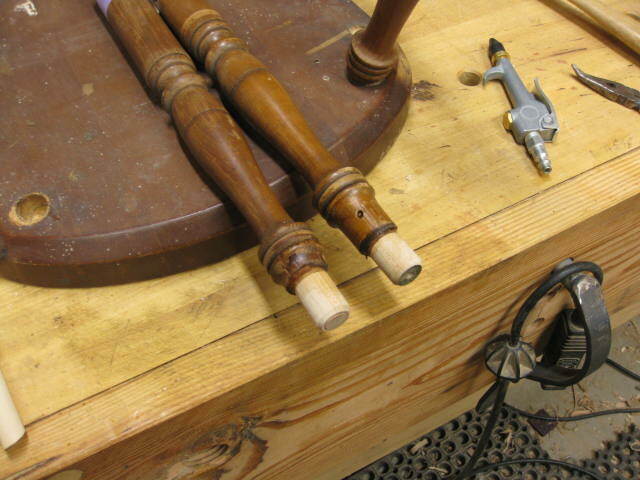 First I turn the 2 new tenons for the legs at the same time which makes it easier to size them. 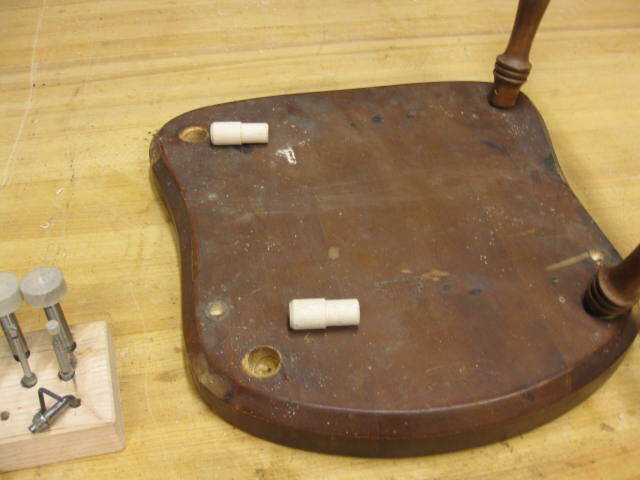 New tenons with the mortises in the seat cleaned out. 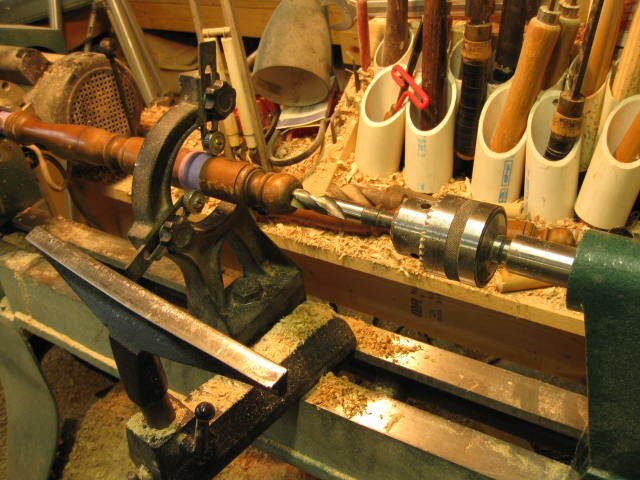 I drill the leg or spindle on the lathe, it is the easiest way I have found to get the hole centered. 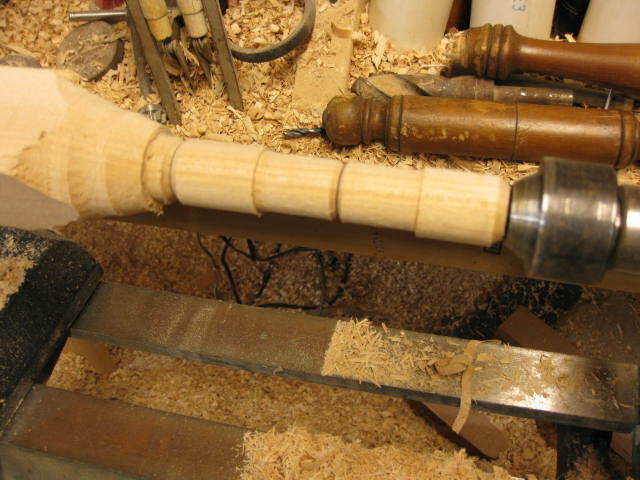 Glue in the new tenons and you are ready to assemble. 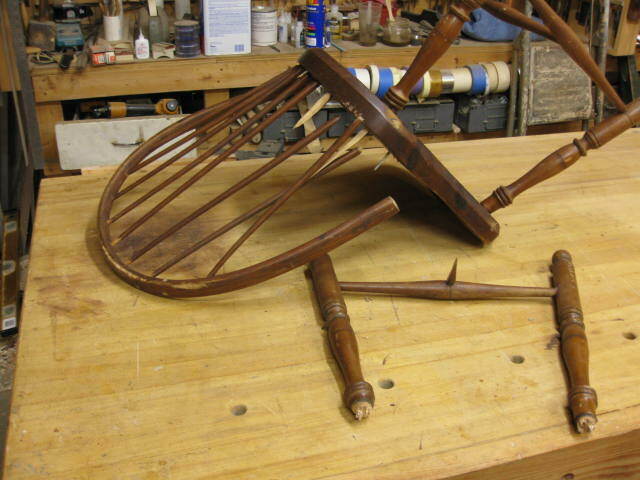 This entry was posted in Repairs, Wood Working and tagged chair repair, spindle, woodworking. Bookmark the permalink. That’s a pretty cool fix!